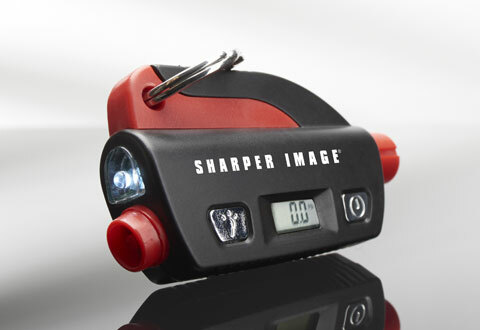 The 6-In-1 Emergency Auto Tool is small enough to fit on your keychain, yet contains six essential gadgets to help you before and after an accident: white LED flashlight, emergency flasher, emergency whistle, safety blade seatbelt cutter, automatic glass breaker and digital tire gauge (measures in PSI, BAR or KPA). Get one for every driver in your family! Only 11 remaining. Expected to sell out in 1 day! 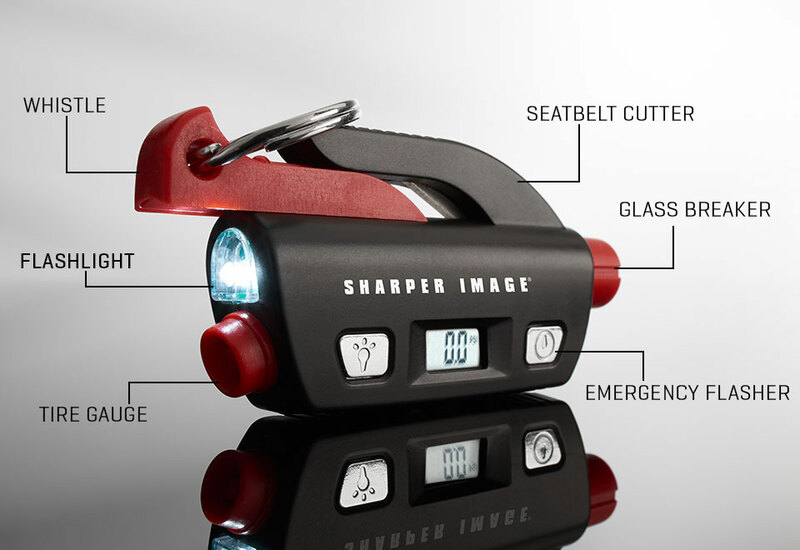 The 6-In-1 Emergency Auto Tool contains six essential gadgets to help you before and after an accident. Get one for every driver in your family! • Fits on your key ring or in a glove box, center console, door pocket, etc.